The first version of WIAS-SHarP was developed until the end of 2002 together with Prof. Spies from the Bergakademie Freiberg and funded by the Stiftung Industrieforschung. The goal of this software was the development and implementation of a numerical method to describe the evolution of temperature and phase volume fractions during laser and electron beam hardening in workpieces with arbitrary geometry. The results lead to the development of the software WIAS-SHarP, which is based on the FE/FV-toolbox pdelib and already successfully used in industry. A model to describe the phase transitions during one complete heat treatment cycle. The adjustment of model parameters for a big number of important steels. Adaptive simulation of laser surface hardening with residual-based error estimator. Different grids for temperature and phase volume fractions. The development of control strategies to achieve uniform hardening depth without melting the workpiece surface for moving heat source. The development of a java-based user interface. For work pieces with an arbitrary geometry Laser surface hardening with constant surface temperature leads not to a uniform hardening depth. Left: Representation of the Workpiece as grid for numerical simulation. Right: Result of simulation for constant surface temperture. Therefore an optimal surface temperature is calculated with a PID algorithm. The optimal surface temperature can be used as an set point for the real process in industry. 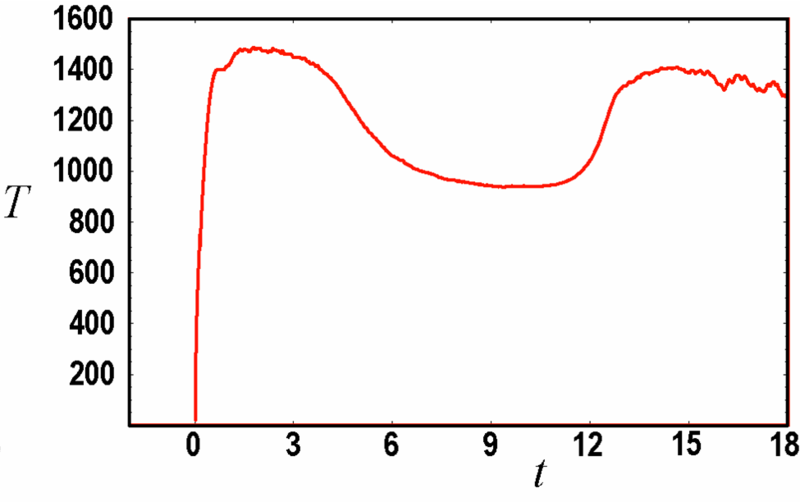 Left: Computed optimal surface temperature. Right: Experiment with uniform hardening depth. Import filter for .poly and .stl (stereo lithography format) files.